Over the past 14 years, the tax and accounting experts at Demian and Company, LLC have proudly served our clients in Cranford New Jersey with personalized service and great accounting. Now, we have expanded our service area to become the newest East Brunswick CPA to offer accounting, payroll services, tax preparation, entity selection and restructuring, wealth management, IRS settlement assistance, and litigation services in the area. Our new East Brunswick CPA office is part of a recent expansion. We look forward to offering our services to more taxpayers. Demian and Company, LLC was founded in 2002 as a small boutique CPA firm based in Cranford, New Jersey. Since then, we've expanded to offer professional accounting services to clients in 49 of the 50 states. Our focus on creating relationships with our clients allows us to offer better accounting because we can understand our client's needs and goals, and offer more personalized service. As a result, we have one of the highest client retention rates of any CPA and accounting firm, and one of the highest ratings of any CPA in New Jersey. Payroll – Payroll is our specialty. We offer a full range of payroll services, including paperwork, direct deposit, electronic tax payments, tax management, electronic form filing, and employee access to pay stubs and information. Business Services – Demian and Company handles a full range of business accounting services, including bookkeeping, tax management, financial reporting, and more. Personalized Accounting – From litigation assistance to IRS representation or general help with managing and reporting or filing taxes, the experts at Demian and Company can help. Our expertise in New Jersey tax law gives us an advantage in filing, reporting, and even negotiating with the IRS, to ensure that you get the best out of every situation. 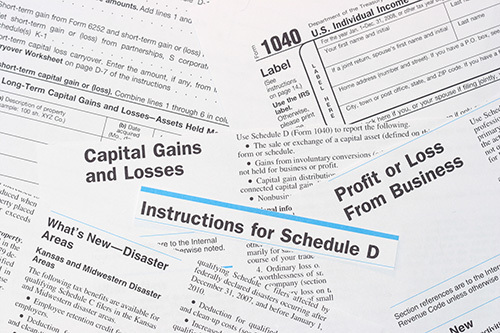 Tax Return Review - Review your prior year tax returns to make sure to maximize your savings. Depending on your circumstances, you may not have claimed all the deductions or credits you deserve. If you need a CPA in the New Brunswick, New Jersey area, contact Demian and Company for a consultation, or call in to make an appointment and visit us at our new office to find out what we can do for you. Our team has an impeccable history of great service and high ratings. Did you find us through the Internet? If you're new to Demian and Company, mention our website and we'll give you an exclusive $50 discount!